Chamberland Residential are pleased to offer this four double bedroom family home located in central Putney within a moments walk to transport as well as the high street for all its many shops and restaurants. Offering a large modern eat in kitchen with state of the art appliances and ample cupboard space with an extension that leads to a large private patio garden with side return. The property further features double reception rooms with wood flooring and feature fireplaces, two bathrooms (one ensuite), a further WC on the ground floor, four good sized double bedrooms and a large cellar for those that need that little bit of extra storage. The property is also located within the catchment area of many sought after schools in the area making it a great option for families. Offered without a chain. A truly unique three double bedroom house located on this quiet residential road and only a few moments to the train station and the village shops of Little Chelsea. This property offers incredibly stylish features throughout and boasts a luxurious bathroom with Juliette balcony that overlooks the garden, two reception rooms, a fantastic eat in kitchen that is perfect for those who love entertaining, a private garden with decked area with waterfall/ pool feature, a large master bedroom with built in cupboards and two further double bedrooms of good size. Further features include an ensuite shower room and excellent storage throughout. Located within the catchment area of Barnes Primary School this spectacular property is available without a chain. *Sold by Chamberland Residential* This distinctive split level four double bedroom flat offers many unique features and is located in beautiful West Putney within some of the most sought after school catchment areas. This property boasts a large open plan lounge/ kitchen thats fitted with state of the art appliances and is perfect for those who enjoy entertaining and cooking, a master bedroom that includes an ensuite and steam room, a separate dressing area with patio doors leading directly to your private garden, a family bathroom with Jacuzzi bath, double basins and a shower room, a further three double bedrooms with built in storage and one with an en-suite/ steam room. Other features include a large games /reception room with projector screen and a separate utility room, under floor heating, a Sonas sound system wired throughout the property and a large private garden with decking as well as grass that's perfect for families and outside entertaining. There is allocated parking on the driveway for two cars. A charming two double bedroom first floor conversion flat located in an ideal spot only a few moments to the Tube Station, all the new East Putney shops as well as the High Street for even further shopping and restaurants. The property offers character throughout with high ceilings, a feature fireplace, an eat in kitchen, a new modern bathroom with shower, a large master bedroom with excellent built in storage and good natural light throughout. Located moments from a supermarket, local restaurants and walking distance to the river and Wandsworth Park, this property will be highly sought after and chain free, early viewings are a must. A beautifully presented two double bedroom apartment located just a few moments to the High Street and both Tube and Train stations. Set within a well maintained development, this property offers an incredible amount of space including a large bright living room leading to a private balcony, a separate modern fitted kitchen, two incredibly spacious bedrooms with built in wardrobes and a contemporary bathroom with shower. The property has been recently redecorated to a high standard with double glazing throughout and a private garage to the rear of the building. 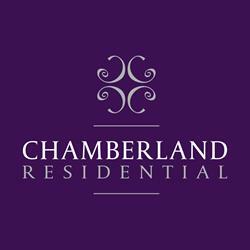 Chamberland Residential are proud to offer this two double bedroom, first floor conversion flat set within a beautiful and well maintained period house. Located moments to the busy Putney High Street with a multitude of great local shops and restaurants, as well as being walking distance to both the tube and Train stations. This property offers two double bedrooms, a large bright lounge with dining area, two shower rooms (both en-suite), a separate fitted kitchen with dishwasher, and plenty of built in storage. The whole flat has neutral decoration throughout and allocated parking is also available. The property has no chain. *Sold by Chamberland Residential* A truly charming three bedroom end of terrace house set within the sought after Conservation Area of Putney. Offering a wealth of character throughout, this property has a large bright lounge with real wood flooring that leads to a separate kitchen and an incredibly large private garden with a shed to the rear. Further features include a separate shower cubicle in the bathroom, built in wardrobes for the bedrooms and excellent storage throughout. The property has no forward chain. *Sale agreed by Chamberland Residential* A charming two double bedroom conversion flat located in the sought after East Putney Grid area and only a few minutes walk to East Putney Tube and the High Street as well as the River Thames and Wandsworth Park. Boasting high ceilings and other character features, this property has a separate fitted kitchen, a large bathroom with shower and a spacious bright lounge with bay window and a feature fireplace. Each bedroom has good storage and is perfect for the professional couple who needs just a bit more space. This property is share of freehold and without a chain. A charming one bedroom maisonette located within walking distance to East Putney tube station and the High Street. Offering split level accommodation, the property boasts a bright lounge with high ceilings, a separate fitted kitchen, a spacious bedroom with good storage and a bathroom with shower. There is character throughout the flat with a communal garden and off street parking on a first come first serve basis. The property is share of freehold and chain fee. Chamberland Residential are pleased to market this spacious one double bedroom purpose built apartment that's located within walking distance to Putney High Street and the local shops including a new Waitrose as well as both Train and Tube stations. The property boasts a large bright lounge with wood laminate flooring, a separate and newly fitted kitchen, a bathroom with shower and a good size double bedroom with a built in cupboard and further hallway storage. This leasehold property is deemed as a great buy to let option as its been rented out continuously for the last few years . Allocated off street parking is also available and the property is chain free. A charming L shaped studio apartment situated within this well maintained building and is moments to East Putney Tube station, the High Street and all local restaurants and pubs. It is ideal for those professionals who commute and need a central location or for those who just love peace and quiet. This property offers a good amount of built-in storage with further features including a private balcony overlooking a lovely landscaped communal garden, a fitted kitchen with space for a washer/dryer and a dishwasher and a bathroom with power shower. Offered as share of freehold and without a chain, it is most ideal for buy to let investors as these properties tend to be excellent rental investments and/or for first time buyers. A conveniently located studio apartment in central Putney with only a few minutes walk to either East Putney tube station or Putney High Street and all shops and restaurants practically at your doorstep. This ground floor property offers a bright lounge with wood flooring, a fantastic amount of storage, a separate fitted kitchen and a bathroom with shower. Further features include a communal garden, double glazing and gas central heating .The property is perfect for the first time buyer or as a buy to let as there is currently a tenant in situ. Available chain free.